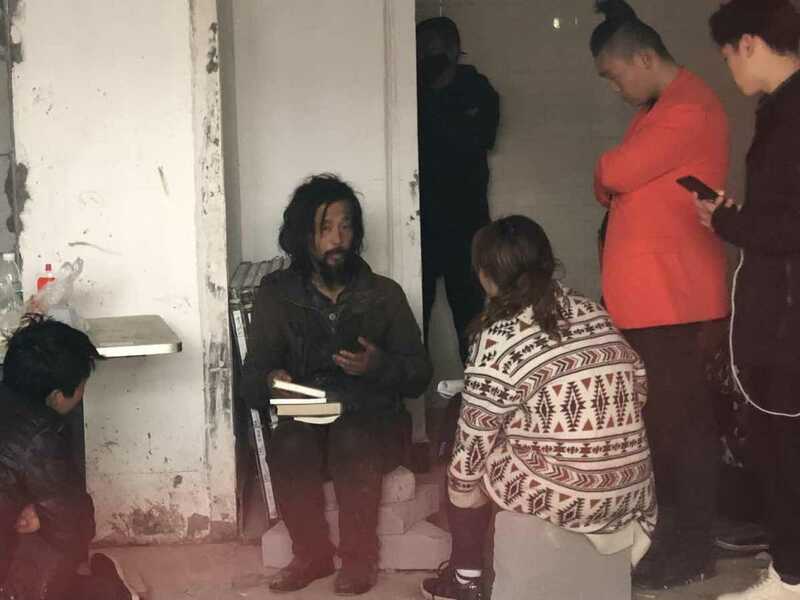 The identity of a Shanghai vagrant, who has become an overnight online celebrity after videos of him explaining Chinese classics to passers-by went viral on Chinese social media, has been confirmed by his employer, the auditing office of Shanghai's Xuhui district government. The office said the vagrant called Shen Wei became one of its employees in 1986 but has been on sick leave since 1993, during which he has been paid with a basic salary. For the past seven years, Shen, usually in rags and tangled long hair, has lived near the metro station of Yanggao South Station and collected garbage every day. He began to get online attention over the past few days when videos taken by passers-by, and then online broadcasters, show his eloquence, resourceful knowledge of Chinese classics and "words of wisdom" as he advises onlookers to spend more time on reading rather than taking videos of him. He spends most of his spare time reading books, mostly Chinese classics which he has bought with the money he earns from garbage collecting. He refuses to receive help and told the Red Star News reporter that he has around 100,000 yuan ($14,991) in his bank account. The money comes from his 2,000 yuan monthly salary and his father's savings. He said he was asked by his employer to stay home for mental illness and not go back to work until he recovered. "Over the past 26 years, no one from the office has ever asked about me," Shen told Red Star News. The auditing office of Xuhui district hasn't responded to comment as of press time. "I have never been married, so how could I have a daughter," he retorted. "Me, a Fudan graduate? Fudan was far out of my league." After days of being bombarded with visits and interviews from curious citizens or online streamers, who are tapping into his sudden popularity for public exposure, Shen said he hopes he can be left alone so as to read more books. What's the purpose of reading books? "The utmost goal is like Zhuge Liang (of the Three Kingdoms), who became a senior official to serve the country," Shen said. "What comes second is to be like Du Fu (a renowned poet in Tang Dynasty known for his patriotism), who always puts the country's and the people's interests first."